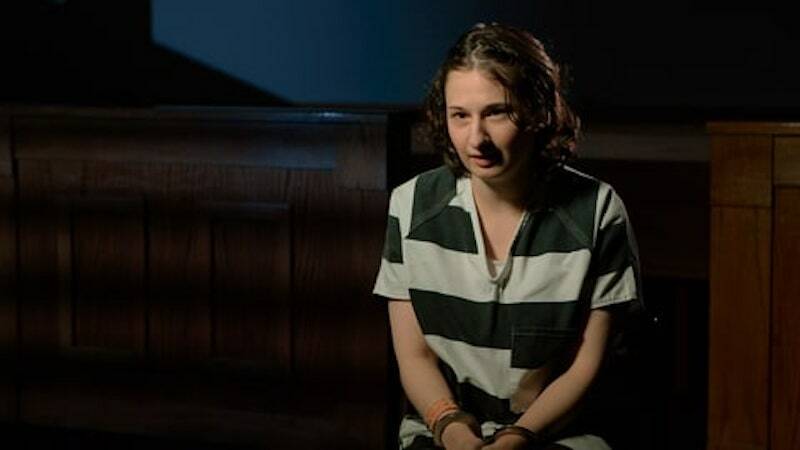 Exclusive: This is what Gypsy Rose thinks of the HBO documentary "Mommy Dead and Dearest"
In a little over a week, it will be exactly one month since the documentary Mommy Dead and Dearest premiered on HBO. Nonetheless, my co-editor Rachel and I are still talking about it, writing about it, and learning more. It’s a story that has made its mark on us, as it follows the narrative of a mother-daughter pair (Dee Dee and Gypsy Rose Blancharde) dealing with Munchausen by proxy syndrome. This form of child abuse involves a caretaker fabricating an illness for their dependent, in order to receive attention, power, or monetary gain. In the case of Dee Dee and Gypsy, this led to Dee Dee’s murder, which Gypsy had a hand in. 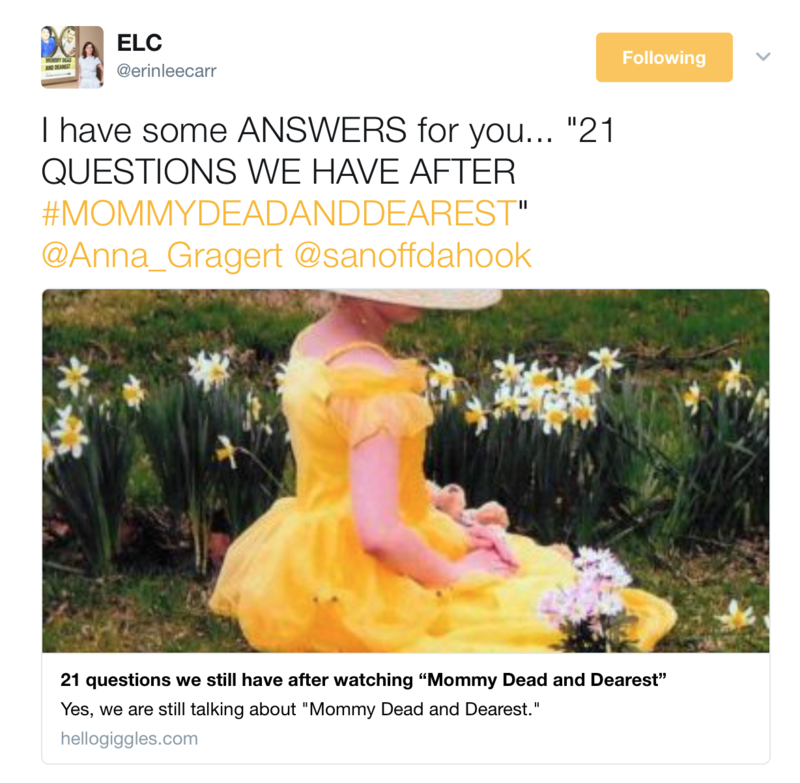 Following our extensive coverage of this harrowing story, the director of Mommy Dead and Dearest, Erin Lee Carr, and Gypsy Rose’s stepmom, Kristy Blanchard, reached out to us on Twitter. They offered to answer some of the questions we still had after watching the documentary. During our interview, both Erin and Kristy gave us an update on how Gypsy Rose is doing in prison. They specifically touched on how Gypsy feels about the documentary, which takes an in-depth look at a traumatic part of her life. HelloGiggles: Was Gypsy able to see the documentary in prison? Does she know about the response to it? Has she shared any thoughts about the documentary itself? Erin Lee Carr: Gypsy has not seen the documentary. It was discussed with the warden; it was requested that she be able to see it. But as is very typical with situations like this, the warden said no. [There are] things that she was able to see. There was a feature magazine piece in People magazine — she was able to look at that. Kristy, Rod, and I were on Good Morning America — she was able to watch that. Kristy and Rod have been so supportive and amazing in this process, and they watched the documentary three times through, and stopped by [the prison], and had very long discussions with Gypsy about what the film was like. And I’ve had subsequent conversations with Gypsy where she’s like, “Why did you put this in?” She’s very aware of what’s in it. I have briefed her that it will be a difficult movie for her to watch. We don’t pull punches in the film. There’s a lot in there that is difficult. But we feel…I feel that she has a good general reference for what the film looks like. And the reactions towards her have been genuinely positive, and helped her in her life…She has told me that she’s been very happy. Kristy Blanchard: Between Rod and I and Erin, she really knows what is in it — everything that’s in it. She’s just never seen it, but she feels like she’s seen it because we fill her in so much. And she questions Erin — “Why did you put this?” — just like how she talked to me about it. [I told her that people] have to go through each part in this documentary to get where you are. They have to show the bad, to get to why everything transpired, to why you had to get out [from Dee Dee’s abuse]. And she was like, “Okay. I understand.” She just wants to be prepared in case people were frightened of her, you know…and asking her questions where she wouldn’t know how to answer them. So she pretty much knows all about it — she just hasn’t seen it. HG: Was there anything specific that she didn’t want to be in the documentary? ELC: I mean, I think that it’s really, really difficult to think about what happened with her mom. And also, she was physically and verbally abused by Nick. I think that is really a difficult subject for her to talk about; let alone invite other people into the discussion. I thought she showed remarkable honesty and integrity in our interview by being able to talk about these things. I mean, honestly, I don’t think she wants to talk about half the things. You just knew that it was important to tell the whole story for her through her perspective — for that to be out there. But I don’t think any part of this process has been easy for her. I think it’s nice that she has a lot of great women to talk to, and Kristy is this incredible advocate for her, and for her voice. But this [whole process with the documentary] is just, I’m sure, so emotionally draining. That’s how I understand it. She does it because she thinks it’s the right thing to do.